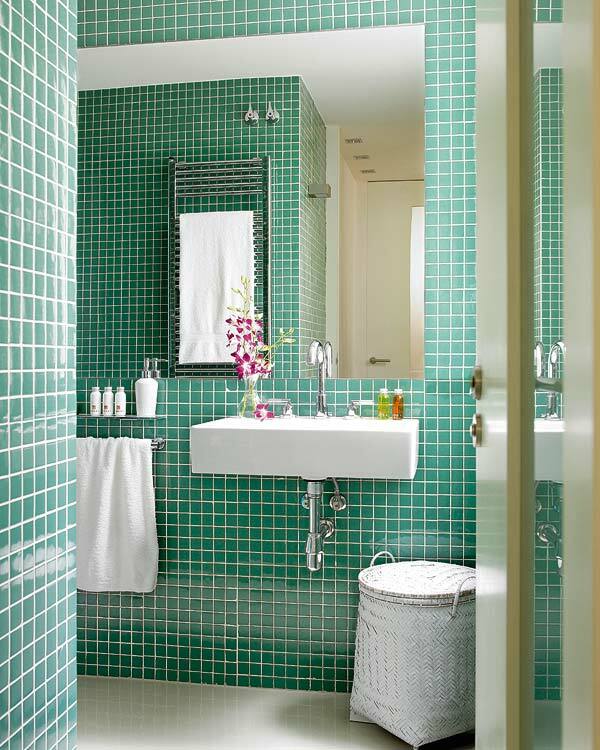 Mix and Chic: Using colored mosaic tiles to create a dramatic and vibrant bathroom. Using colored mosaic tiles to create a dramatic and vibrant bathroom. Installing square mosaic tiles from floor to ceiling in bold, bright green creates a dramatic impact and style in a modern yet casual bathroom. 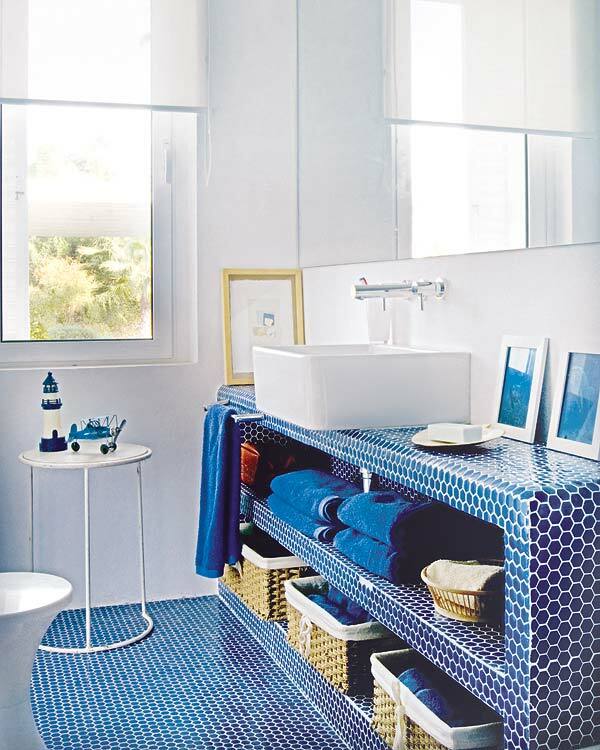 Incorporating a bright blue hexagon mosaic tile bath console and flooring combined with blue bath towels and white accents adds a splash of fun, color and texture in a modern kid's bathroom. Adding floor to ceiling gray mosaic tiles in a sleek and contemporary bathroom is chic and relaxing.